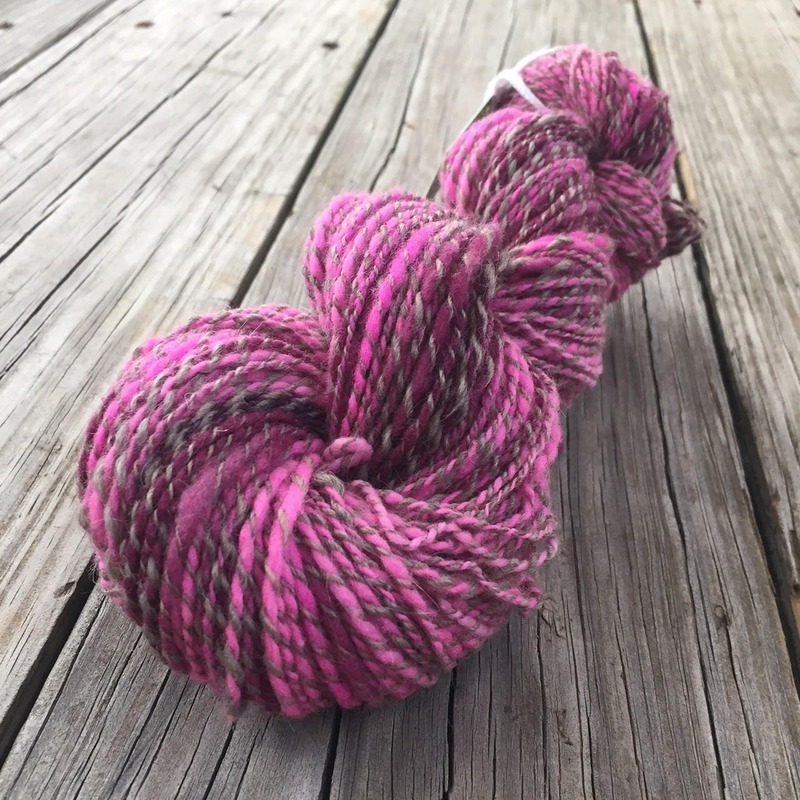 This lovely two ply yarn is truly an Optimistic Valentine! 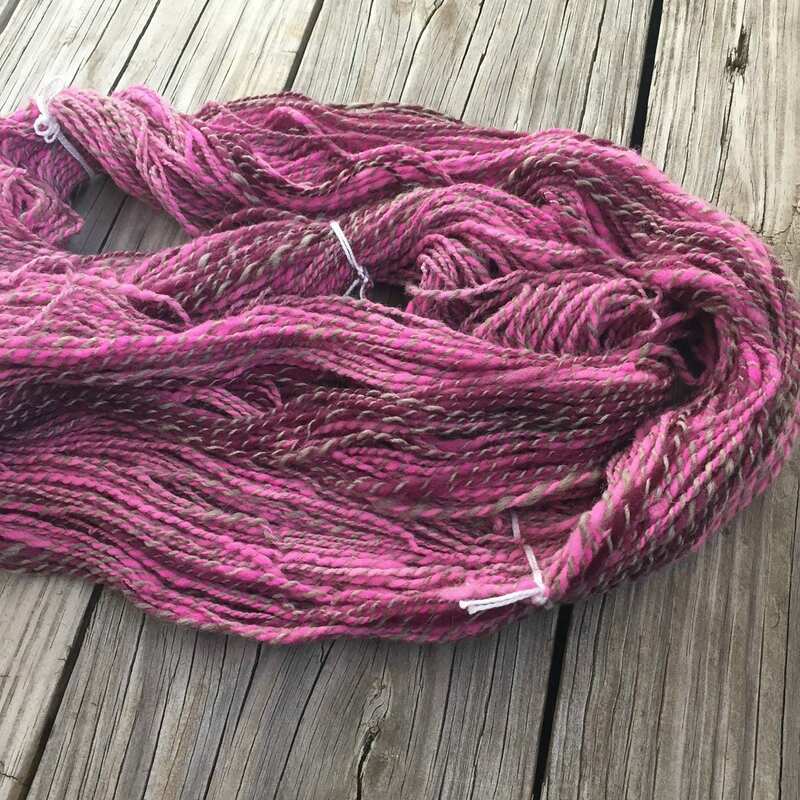 It is handspun of hand dyed bubble gum pink, cotton candy pink and gorgeous magenta purple fiber plied with a lovely silver gray strand of wool. It's the perfect combination, just like your perfect valentine! 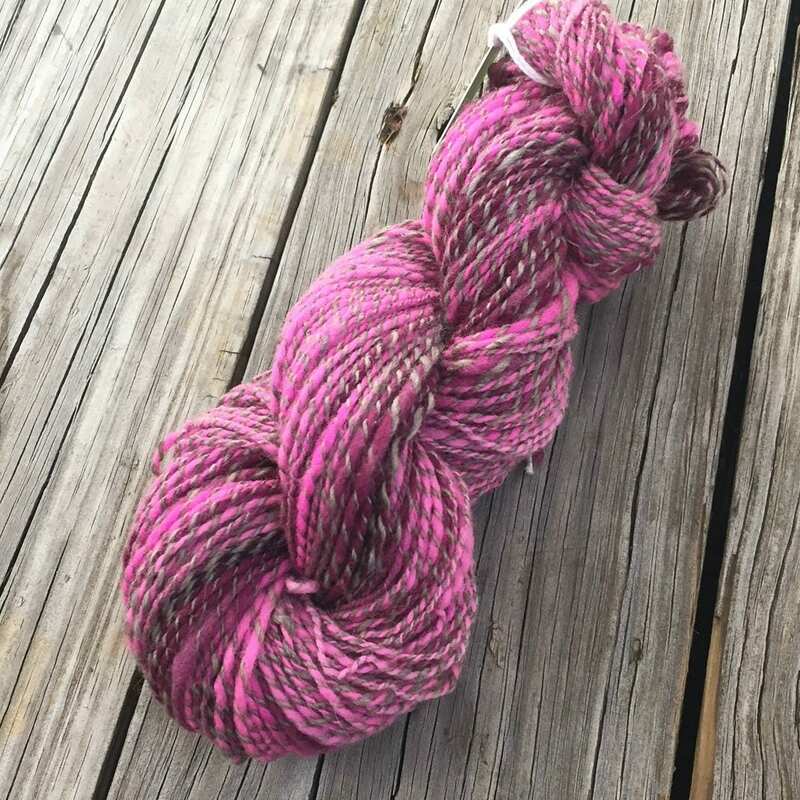 This yarn has a nice squoosh factor and is lightly wooly, has lots of yardage too! 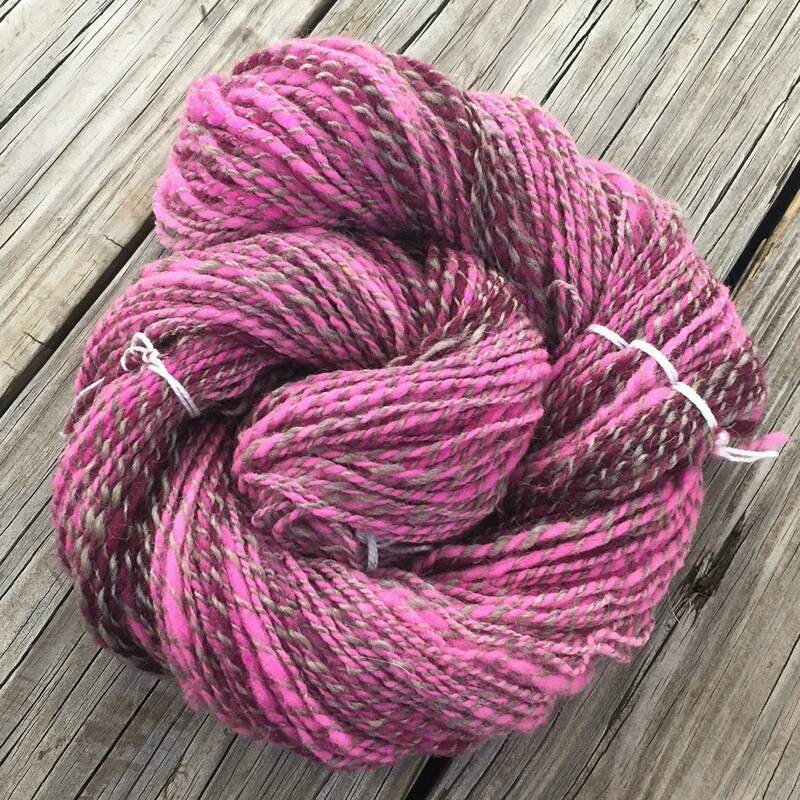 There's a bit of thick and thin texture, which would knit/crochet up lovely. 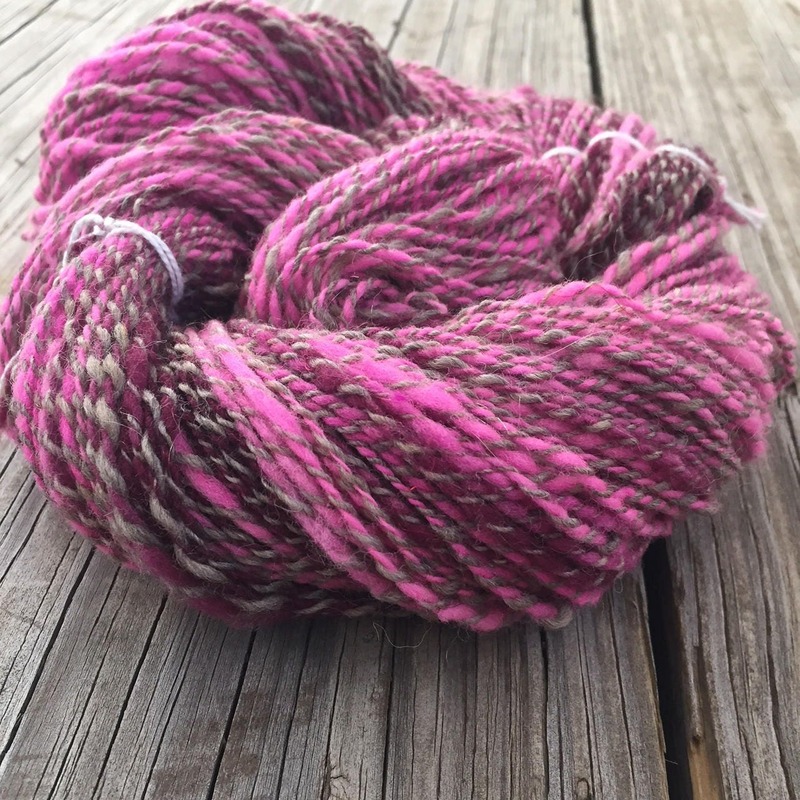 Would make up a lovely scarf, hat or other wooly accessory, or combine with sport weight commercial yarn as an accent to give the project some WOW!